With an in-house expert designer, we now offer complete Residential Design Services. We craft custom homes, remodeling and additions and all of your outdoor needs as well. Step into a quality, custom home built with worry-free function and beautiful form. We build high performance, energy efficient homes with old fashioned craftsmanship and attention to detail. Turn the house you live in into the home of your dreams. Add a guestroom, create a spacious family room or design a luxurious bathroom. We handle all the details – even the dust – as we renovate and remodel your home. Built with your lifestyle in mind, we build pole barns of steadfast integrity. Functional and attractive, Bludorn pole barns are engineered with care for residential, commercial or agriculture use. 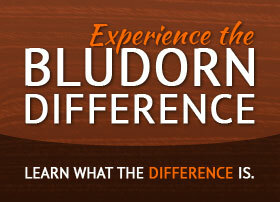 There’s a noticeable difference about a Bludorn built project – we hear it all the time. Our team of trusted Central MN custom home builders prides itself on doing three things incredibly well: efficient project management (we won’t waste your time or money), quality work (done right the first time) and maintaining a clean job site (we respect your project from start to finish).